Facet syndrome from surgery can occur following many types of spinal operations and might create lingering pain postoperatively. The spinal facet joints are located in areas that are often disturbed by various forms of surgical intervention on the backbone. Once disturbed or damaged, the facet joints might not function correctly and may cause pain to become a chronic concern. 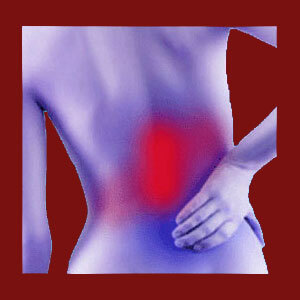 Post-surgical back and neck pain is a very common occurrence, even when it did not exist before the procedure. There are many potential causes of postoperative dorsalgia and facet joint syndrome is merely one of them. This essay explores why facet joint pain might be the direct collateral result of spinal surgery. We will provide details on the circumstances that can lead to persistent facet joint symptoms, as well as provide advice on avoiding negative health issues after undergoing an invasive procedure on the vertebral column. Foraminotomy is one of the riskiest techniques, since it works on and around the facet joints. Facet joint rhizotomy is usually safe, but is directed at the joints also, making this technique a potential cause of structural trauma. Laminectomy is one of the major causes of facet syndrome from surgery. Laminectomy is generally very damaging to the back and often has widespread consequences. Spinal fusion can cause facet pain when the fusion does not take or allows for some degree of movement between vertebral bones. Any open dorsal-approach surgical technique directed at the spine can damage or influence the function of the facet joints. Anterior and minimally invasive procedures decrease the risk of collateral injury to the facet joints, as well as other spinal tissues. Surgical damage to the facet joints can occur accidentally or as a purposeful result of the procedure. Some techniques, such as foraminotomy and laminectomy, seek to resolve stenosis in the central canal or neural foraminal openings, but do so at the expense of other tissues, including the facet joints. Other techniques, like spinal fusion, seek to cease vertebral motion in the treated area, including in the facet joints, but often fail in this objective. Unwanted movement in the facet joints following spondylodesis surgery can be a major cause of postoperative pain. Virtually any procedure which acts on the vertebral column can have collateral effects on the facet joints. We see this in cases where various spinal characteristics are altered purposefully or accidentally during the course of surgical care including changes to the spinal curvatures, vertebral alignment or general functional condition of the spine. It is best to choose the least invasive type of procedure that can successfully accomplish the surgical objectives. Anterior approach and minimally invasive versions of spinal surgery are universally better than antiquated open incision techniques. Patients should choose their spinal surgeon carefully as their outcome will be a direct result of the doctor’s skills and experience. Always get several opinions and do your due diligence when it comes to investigating the credentials and quality of your surgeon. The best advice we can offer is to avoid surgery whenever possible. Very few spinal operations are medically necessary. Virtually all are optional and do not even offer better results than conservative care. Be sure to understand all your treatment options before choosing surgery and do everything to avoid invasive care when alternative therapeutic options exist.